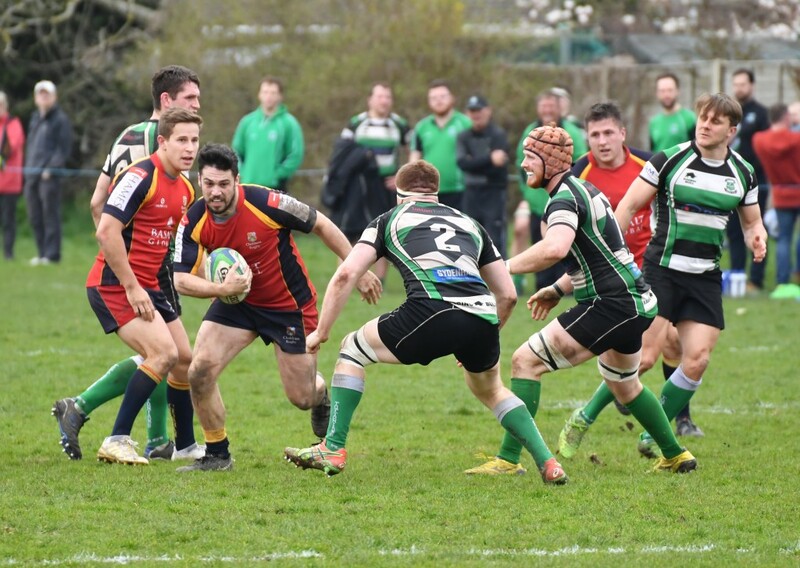 Chobham headed to Hampshire to take on Tottonians RFC who appeared to be suffering a similar fate to Chob with regards to injuries and form in the second half of the season. 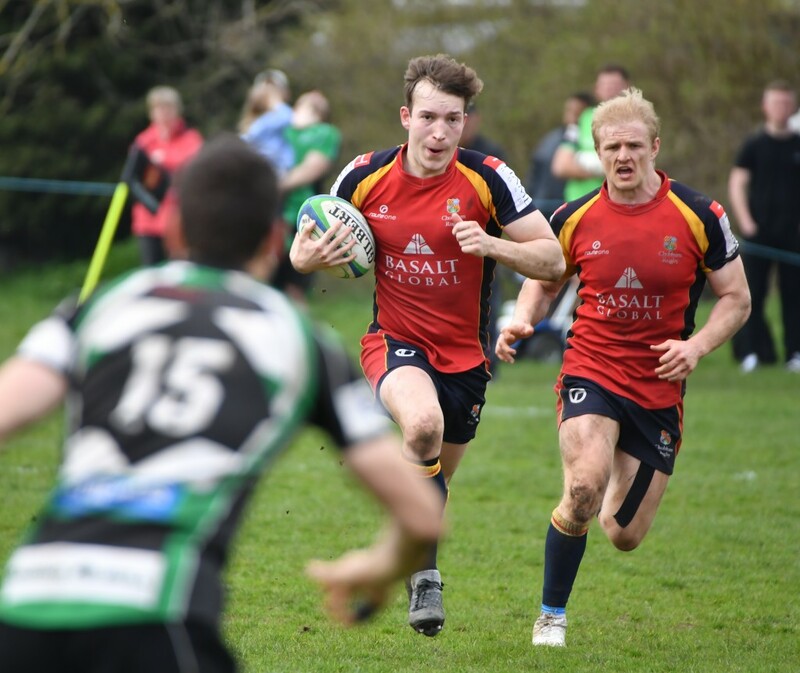 With more absentees for Chobham it was the turn of another club youngster to step up to start at open side flanker in the shape of Ollie Campbell, and the side was also able to welcome back Dom Sammut to the squad for the first time this season which provided a much needed boost to the side’s size and strength. 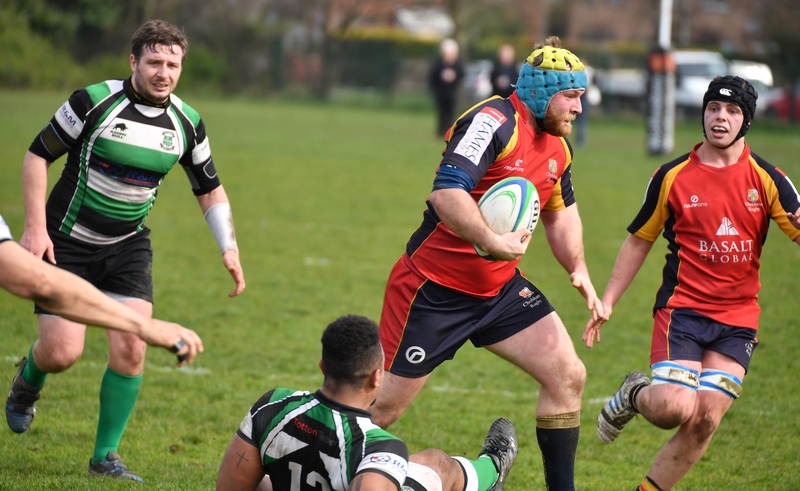 Fully aware of the magnitude of the game and the importance of the league points, Chobham made the absolute worst of starts as the the Totts outside centre ran in two soft tries for the home side to take a 14 point lead within the opening minutes. This had not been in the plan and things needed to change. 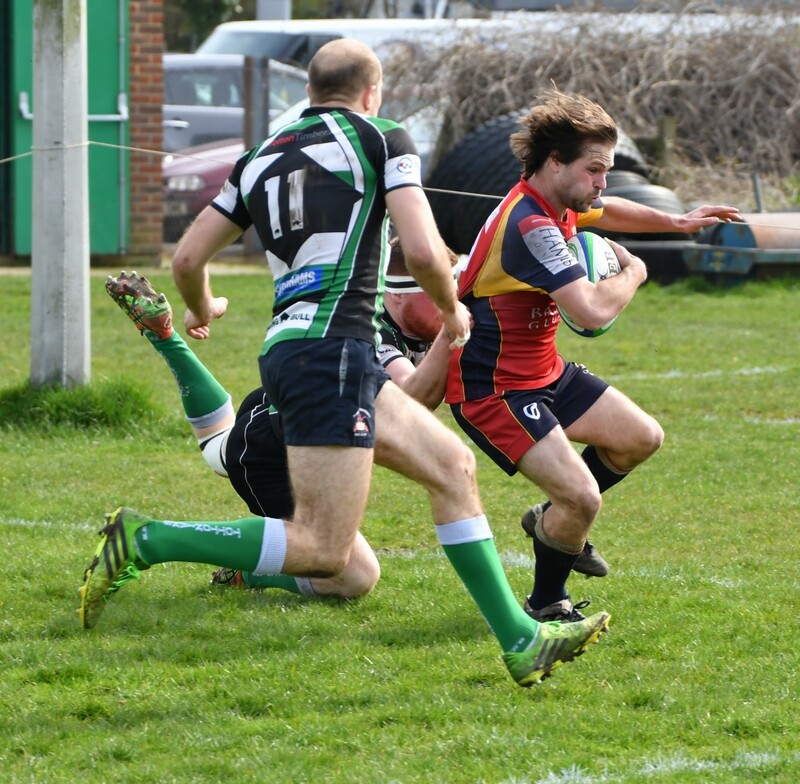 Chobham, still within the first 10 minutes of the game, were able to respond with 2 converted tries of their own. 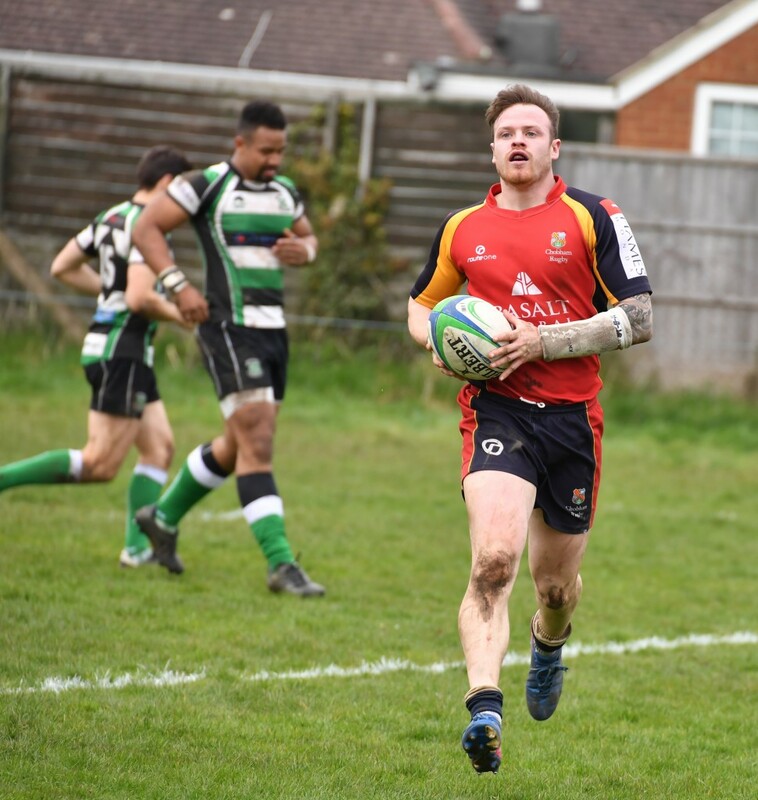 Firstly scrum half Ian Barnes finished off an excellent break from winger Josh Devitt before the flying Irishman managed to cross the white wash for his first of the day, both scores converted superbly by full back Oliver Turner. The rest of the first half saw Chobham continuing to defend poorly however and Totts were able to take full advantage of it. By the time the ref blew his whistle for half time the hosts already had the 4 try bonus point and had converted all 4 from the boot of their fly half and they had also added an additional 3 from the tee. Chobham’s Devitt had managed to pull one back through some electric finishing, once again converted by Turner which made the half time score board read 31 – 21. As the Chobham side headed in to the changing rooms for the break the players knew they had defended incredibly poorly and were now in even more of a fight than they had started the afternoon. After a double rocket from coaches Tony Paul and Chris Dodd there was nothing else for Head Coach Ryan Gregory to add and the boys came out for the second half a different side. They started the second spell in the best possible way. After some slick interplay, powerful running and incredibly quick ball from the break down, Chobham were able to add 7 more again immediately. Again it was Devitt with the final touch and again it was Turner who converted. 31 – 21 with 38 minutes to play and Chobham were now in business. Their attacking play had gone to another level which the Totts team couldn’t handle and they were working incredibly hard to add much needed steel to their defence compared to the first half. 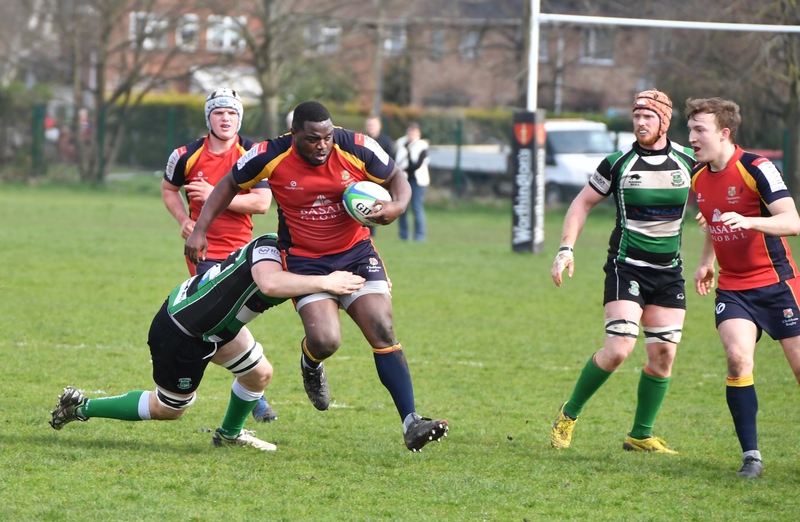 The tries started to flow in the following exchanges, 4 of them to be precise. With outside centre Howard Turner crossing in the corner and fly half Josh Clark doing the same nearer the posts upstepped that man Josh Devitt again to bag himself another 2 meat pies, taking his tally for the afternoon to 5. Ridiculous. 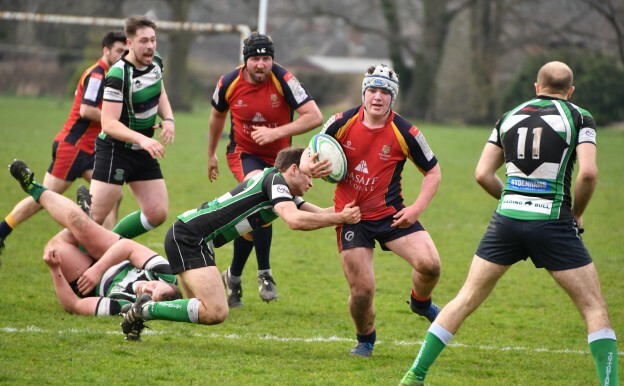 With 3 of the 4 converted by Turner Chobham had blown the hosts away during the second period and with just one try and penalty in reply throughout the second period, the score ended 39 – 54 to Chobham. Chobham’s attack was fantastic all afternoon and they will need to to do the same next week as they take on third place Havant. The way they were able to react and correct their defensive performance as a group, mid game was incredibly pleasing too. If they can start the game against Havant with that same defensive intent and focus then they have every chance of turning over the promotion chasers. Man of the match was a difficult choice as so many of the side played so well. Chris Kent at 6 and Dom Sammut performed incredibly well within the forwards and Josh Clarke marshalled the game superbly from fly half while captain Phil Williams was an absolute rock in defence at inside centre all afternoon. However, the ‘Nandos Woking MotM award’ had to go to winger Josh Devitt for his 5* performance.